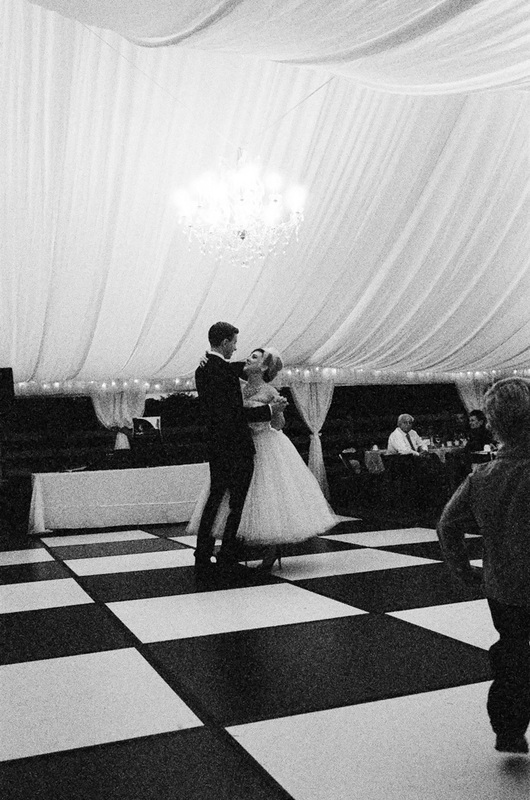 An elegant tented reception with string lights, black and white flooring, and a tea length wedding dress. Really, what more could you ask for? Tollgate Farm in Novi has such beautiful grounds for outdoor and barn weddings. Love, love, loved this wedding.